“We’ve seen densities of over 500,000 mud snails per square meter,” states Matt Krueger, Restoration Director of the River Alliance of Wisconsin. When stuck to an angler’s boots, mud snails may live ‘til the next fishing trip. So cleaning all gear between trips can help stop the spread of these sneaky snails. Learn more about this new invader found in Black Earth Creek. Study up on additional facts provided by the River Alliance of Wisconsin. 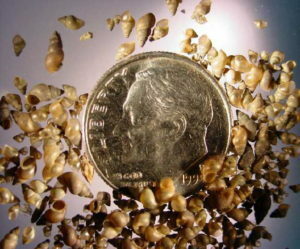 Matt Krueger discusses the impact mudsnails may have on tourism. Brush up on boot cleaning tips with Laura MacFarland of the River Alliance of Wisconsin. 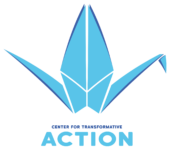 CurrentCast is produced in partnership with Cornell University’s Atkinson Center for a Sustainable Future. Learn more at http://www.currentcast.org.